For thousands of years, humans have believed in the power of natural gemstones to heal, protect and enhance one’s daily life. 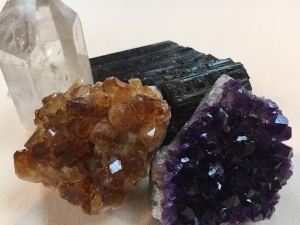 This class will give you a brief primer on the metaphysical properties of common gemstones and how these stones can influence with your life in a positive way. In addition to the lecture, students will string one bracelet in class.